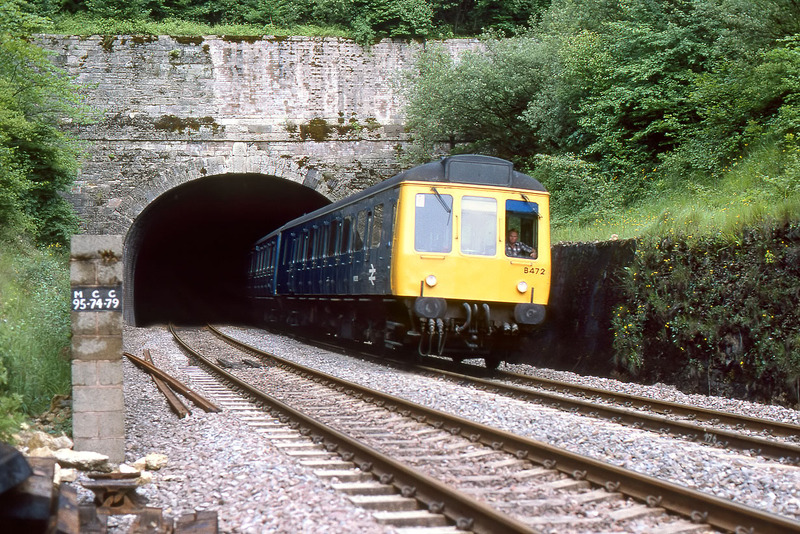 B472 (51315, 59482, & 51330) emerges from Sapperton Tunnel on 28 June 1980 with the 17:22 Swindon to Cheltenham service. This unit is of course working down the gradient, but the sight of this tunnel portal was probably not welcome by the crews of steam hauled trains toiling up the bank. Although the gradient eases from a fearsome 1 in 60 to 1 in 90 near the entrance, any slight water ingress in the tunnel was certainly going to make life more difficult for up trains!